Understanding the science behind willpower and self-control leads to a better life and more happiness. You will learn techniques that are easy to implement and follow in your daily life. For example, doing the most demanding tasks when you have peak willpower. Willpower books have been on my reading table and e-reader for several years now. I feel that I always lack willpower, so I have devoured a lot of material to better understand how my willpower works, how to motivate myself, and how to stop falling back to old ways. There’s a lot of self-help books about setting and reaching your goals. What sets apart most of the books here is the clear foundation in science. 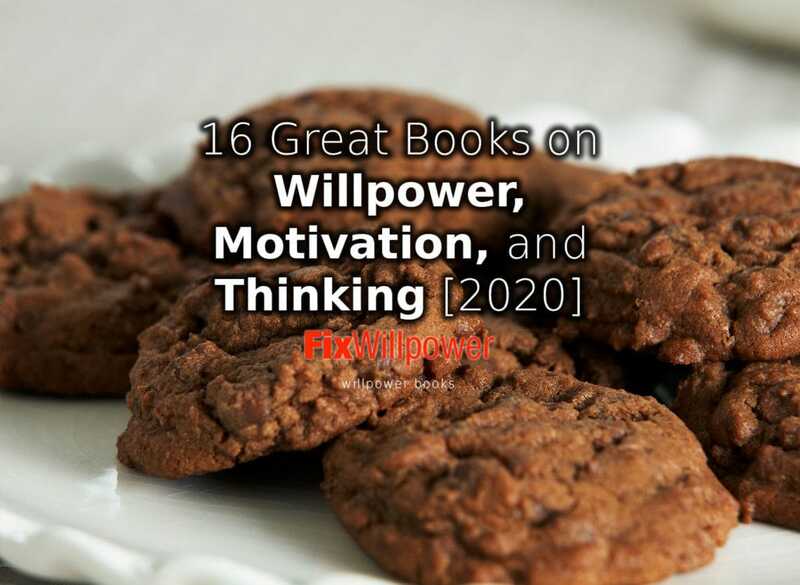 Even a few of these books will get you well on your way to strengthening your willpower. Really great willpower book from a scientist, based on experiments. His work has been mentioned in many other scientific papers including Nobel laureates. This book about self-control is a must in this area. The pioneering researcher Roy F. Baumeister collaborates with renowned New York Times science writer John Tierney to revolutionize our understanding of the most coveted human virtue: self-control. In what became one of the most cited papers in social science literature, Baumeister discovered that willpower operates like a muscle: it can be strengthened with practice and fatigued by overuse. Willpower is fueled by glucose, and it can be bolstered simply by replenishing the brain’s store of fuel. That’s why eating and sleeping- and especially failing to do either of those have such dramatic effects on self-control (and why dieters have such a hard time resisting temptation). Combining the best of modern social science with practical wisdom, Baumeister and Tierney here share modern lessons in willpower. As our society has moved away from the virtues of thrift and self-denial, it often feels helpless because we face more temptations than ever. But we also have more knowledge and better tools for taking control of our lives. However we define happiness-a close-knit family, a satisfying career, financial security-we won’t reach it without mastering self-control. Take a loot at the 30-day challenges that help you build new habits and use as a willpower exercise. This is one of the best books about habits I have ever read. No matter your goals, Atomic Habits offers a framework for improving every day. James Clear reveals practical strategies that will teach you how to form good habits, break bad ones, and master the tiny behaviors that lead to remarkable results. If you’re having trouble changing your habits, the problem isn’t you. The problem is your system. Bad habits repeat themselves again and again not because you don’t want to change, but because you have the wrong system for change. You do not rise to the level of your goals. You fall to the level of your systems. The author draws on the ideas from biology, psychology, and neuroscience to create a guide for making good habits inevitable and bad habits impossible. 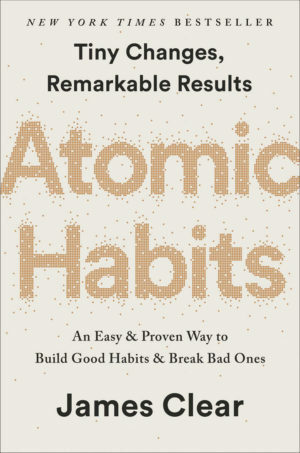 Atomic Habits will reshape the way you think about progress and success. You get the tools and strategies you need to transform your habits. 3. The Willpower Instinct: How Self-Control Works, Why It Matters, and What You Can DoTo Get More of It by Kelly McGonigal Ph.D. This is on of the best books on self-control. The willpower book explains the science of self-control and how it can be harnessed to improve our health, happiness, and productivity. What willpower is, how it works, and why it matters. After years of watching her students struggling with their choices, health psychologist Kelly McGonigal, Ph.D., realized that much of what people believe about willpower is actually sabotaging their success. McGonigal created a course called “The Science of Willpower” for Stanford University’s Continuing Studies Program. The course was an instant hit and spawned the hugely successful Psychology Today blog with the same name. Willpower is not an unlimited resource. Too much self-control can be bad for your health. The Willpower Instinct is one of the best self-control books as it combines prescriptive advice and complementary exercises to help readers with goals ranging from a healthier life to more patient parenting, from greater productivity at work to finally finishing the basement. 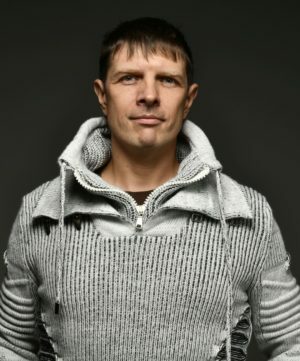 Jonathan Bricker’s work has uncovered a scientifically sound approach to behavior change that is twice as effective as most currently practiced methods. Imagination tends to add and remove details, but people do not realize that key details may be fabricated or missing from the imagined scenario. Imagination fails to realize that things will feel different once they actually happen — most notably, the psychological immune system will make bad things feel not so bad as they are imagined to feel. The advice Gilbert offers is to use other people’s experiences to predict the future, instead of imagining it. It is surprising how similar people are in much of their experiences, he says. He does not expect too many people to heed this advice, as our culture, accompanied by various thinking tendencies, is against this method of decision making. What are the really important things in life for you? If are in a hurry skip all the background stuff and get straight to the How-to section. I think this is one of the most important books published in recent years. One of the best psychology books ever by Nobel Prize winner in Economics Daniel Kahneman summarizes research that he conducted over decades, often in collaboration with Amos Tversky. It covers all three phases of his career: his early days working on cognitive bias, his work on prospect theory, and his later work on happiness. The book’s central thesis is a dichotomy between two modes of thought: System 1 is fast, instinctive and emotional; System 2 is slower, more deliberative, and more logical. The book delineates cognitive biases associated with each type of thinking, starting with Kahneman’s research on loss aversion. From framing choices to substitution, the book highlights several decades of academic research to suggest that we place too much confidence in human judgment. In some cases you act automatically (System 1) find out how to improve your life by finding a balance between control and flexibility. In a fixed mindset, people believe their basic qualities, like their intelligence or talent, are simply fixed traits. They believe that talent alone creates success—without effort. They’re wrong. In a growth mindset, people believe that their most basic abilities can be developed through dedication and hard work—brains and talent are just the starting point. This view creates a love of learning and a resilience that is essential for great accomplishment. Growth mindset creates motivation and productivity in the worlds of business, education, and sports. When you read Mindset, you’ll see how. Forget everything you thought you knew about how to motivate people. It’s wrong. Drive is among the best motivation books out there. The secret to high performance and satisfaction is the need to direct our own lives, to learn and create new things, and to do better by ourselves and our world. Drawing on four decades of scientific research on human motivation, Pink exposes the mismatch between what science knows and what business does – and how that affects every aspect of our lives. Along the way, he takes us to companies that are enlisting new approaches to motivation and introduces us to the scientists and entrepreneurs who are pointing a bold way forward. DRIVE is bursting with big ideas – the rare book that will change how you think and transform how you live. Learn why some people and companies struggle to change, despite years of trying, while others seem to remake themselves overnight. We visit laboratories where neuroscientists explore how habits work and where, exactly, they reside in our brains. We discover how the right habits were crucial to the success of Olympic swimmer Michael Phelps, Starbucks CEO Howard Schultz, and civil-rights hero Martin Luther King, Jr.
Great motivational book. A single idea, short willpower book. Gets you moving. Julien Smith has delivered a surprise, a confrontation, a book that will push you, scare you and possibly stick with you for years to come. The idea is simple: your flinch mechanism can save your life. It shortcircuits the conscious mind and allows you to pull back and avoid danger faster than you can even imagine it’s there. But what if danger is exactly what you need? What if facing the flinch is the one best way to get what you want? Here’s a chance to read the book everyone will be talking about before they do. What are you afraid of? Here’s how to find out. Dan Ariely challenges readers’ assumptions about making decisions based on rational thought. 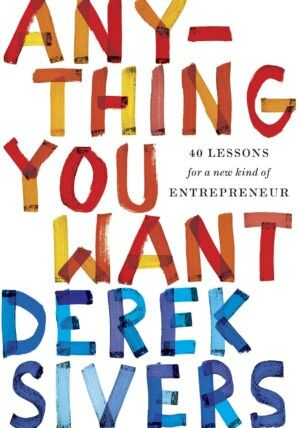 “My goal, by the end of this book, is to help you fundamentally rethink what makes you and the people around you tick. I hope to lead you there by presenting a wide range of scientific experiments, findings, and anecdotes that are in many cases quite amusing. Once you see how systematic certain mistakes are–how we repeat them again and again–I think you will begin to learn how to avoid some of them”. Learn the secret to making changes that stick. Every so often people get inspired (again!) to lose weight, get organized, start saving, or stop worrying –but a few months later they give up, frustrated. It doesn’t have to be that way. In This Year I Wil . . .l, bestselling author M.J. Ryan offers breakthrough wisdom and coaching to help readers make this time the time that change becomes permanent. Why do people find it so hard to change? The secret is that everyone has their own formula for making changes that stick, but most people don’t know what theirs is. They think there is one way to lose five pounds, and another way to stay on top of their e-mail, but they don’t realize that for all changes, there is one system that works best for each individual. This Year I Will . . . helps you lock on to your unique formula for planning, implementing, and seeing a life change through, so you can use it again and again to tackle anything else you’d like to do. For anyone who has broken a New Year’s resolution, fallen off a diet, or given up on fulfilling a dream, the ingenious strategies, inspiring stories, and sheer motivational energy of This Year I Will . . . help you make a promise to yourself that you can actually keep. Why do we routinely choose options that don’t meet our short-term needs and undermine our long-term goals? Why do we willingly expose ourselves to temptations that undercut our hard-fought progress to overcome addictions? Why are we prone to assigning meaning to statistically common coincidences? Why do we insist we’re right even when evidence contradicts us? David DiSalvo reveals a remarkable paradox: what your brain wants is frequently not what your brain needs. Much of what makes our brains “happy” leads to errors, biases, and distortions, which make getting out of our own way extremely difficult. DiSalvo’s search includes forays into evolutionary and social psychology, cognitive science, neurology, and even marketing and economics—as well as interviews with many of the top thinkers in psychology and neuroscience today. 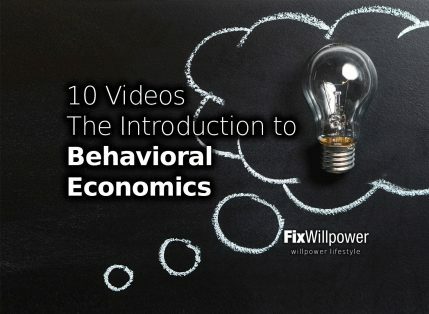 Behavioral Economics Introduction with 10 videos from heavy weights of the field (Kahneman, Pink, Ariely) and others. Sit back and watch the videos. Previous story Stop Comparing Yourself to Others!